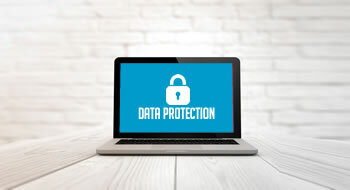 Is It Worth to Protect Your Data? As we now know, the privacy and files of millions of Americans have been jeopardized, due to the data sharing controversy on Facebook. The topic has got many business owners wondering how they can improve their online services without risking security. The thing is, on the internet and online, it isn't just your personal life that is at risk. Your entire corporation can seriously suffer attacks that put your company and future at risk. "Sure," you think, "that's why I've already installed anti-ransomware protection and have got my firewall updated!" But think again. Nowadays, hackers are so much more advanced than they were when the infamous trojan virus first became a household word. Today's scheming cyber-thieves have ways to get around what you may think are super secure systems. It isn't just one or two things you have to watch out for. With all of your mobile devices, multiple computers and digital tools, there is now so much to stay on top of and be aware of. What would you rather have safeguarding your family in your home? A flimsy patio door that can easily be broken into? Or a sturdy, unbreakable steel door with multiple locks and security codes? Well, patio doors are for keeping out bugs and rainwater, but good luck against thieves! In the same way, hackers can make their way into so-called firewall systems if they're not 100 percent secure. Do you really want to take the risk? Passwords are so secure, right? Wrong! 1234567890 and that's all it takes to break in! Did you recently let go of a key employee? Hope it doesn't hurt you. That person has access to all of your most valuable data and can now turn it over to the hands of those who want to harm you financially and hurt you personally. Have you changed your passwords just as you would change all your home locks if the key was accessed by potential intruders? "Oh well, my most important files are now encrypted", you say. "I wonder what we do? Wait three days to create a bitcoin account? What are we going to do? Do we pay? Why go through that? My free super antivirus didn't get that?" Well, you get what you pay for, in this case, sorry to say! Hurrah, all backups are complete! Yep, heard this one a million times. "What do you mean we can't restore the files? So the team says backups were successful, but they don't work?" Make sure you have the proper backup systems in place; otherwise, everything is gone in a flash! "The server crashed! We have to be down for three days before we get the new part? What are we going to do? Backups will not allow us to continue business during and after a disaster? What do we do if there is a fire?" Does this sound like you? If so, what are you doing to put your own mind at ease? "I lost my phone at the airport, what do I do? All my life is there. What do you mean it can't be wiped?!" That's right -- no more control at the tip of your fingers -- now it's someone else controlling you! "My computer was stolen from the local cafe! Does that mean that my financials and my family pictures are now vulnerable? Ohh great!" Without a trustworthy encryption system, you are vulnerable every time you get online. How many times have we heard this dilemma: "We wired $12,500 to our provider. The accounting team wonder why the provider's address now shows as being in California, when they've been in Florida for 25 years. They must have moved." Welcome to the world of phishing! Once a wire goes out, it's out for good. "Must be nice that HR is looking at Facebook.com and marketing at monster.com. Shouldn't it be backwards? It must be nice to be looking for a job while getting paid." These are multiple problems. The solution is synchronized security expertise where everything is covered. We cover everything: firewall, backup, business continuity, disaster recovery, wireless protection, ransomware protection, server security, mobile device management, encryption, phishing threat protection and training, email security, web filtering, wireless security and endpoint protection. With a managed security service provider like Simplitfy, you get professionals who assist and guide you. And most importantly, they'll be there when something happens. We know your issues. The need for better security is now more real than ever. Our goal is to protect your data and your users. We have synchronized security solutions for all of the above problems. If you are looking for network support in South Florida, get in touch with us today.